Get your phosphorus levels down before 2020. ARE YOU MEETING GOVERNMENT STANDARDS? Don’t struggle to meet Disinfection Byproduct (DBP) standards. Tired of Taste and Odor Complaints? INVASIVE MUSSELS? AVOID BIG TROUBLE. WANT TO INCREASE FILTER RUN TIME? 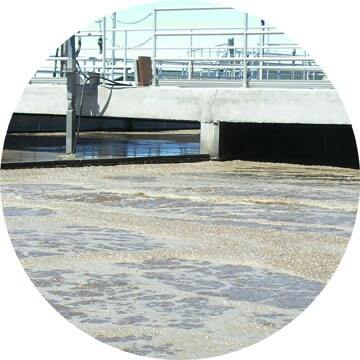 INTERESTED IN REDUCING WATER CONTENT IN SLUDGE? Need To Slash Plant Maintenance Costs? Still Pre-chlorinating with Chlorine Dioxide? We don’t always meet disinfection byproduct (DBP) standards. We're tired of taste and odor complaints, to say nothing of our daily battle with algae and bacteria. Where can we turn for help? 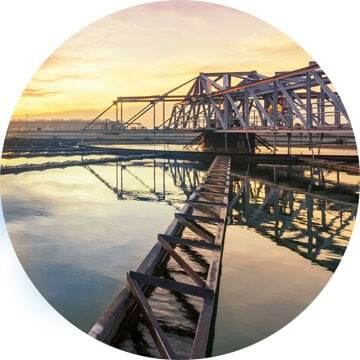 Are there wastewater solutions that will reduce our operational costs? How much will reducing backwashes, algae, and sludge output improve our plant performance? Our plant has algae and invasive mussels. Is there a fast and effective water treatment that's also safe for humans, animals and fish that will eradicate both algae and invasive mussels? Our plant has algae and invasive mussels. Is there a fast and effective water treatment that's also safe for humans, animals, and fish that will eradicate both algae and invasive mussels? Is your water treatment process really as efficient as it could be? Are there ways you could be saving money? Do you have taste and odor concerns, or problems with mussels or algae? Learn 5 secrets to immediately and effectively combat these and other common water treatment problems that plague the industry. Like most wastewater treatment facilities throughout the U.S., you’re battling all types of water issues and doing it on an ever tightening budget while facing more regulations. In this guide, Innova offers 5 secrets that will reduce your wastewater treatment plant’s operational costs while giving you superior results. Innova consultants use their vast expertise and customizable specialty chemistry to investigate and solve problems for our water treatment customers. Founded in 1979, Innova, a subsidiary of ATS, is a premier provider of specialty chemical solutions for various water treatment applications, ultra-pure water systems, water optimization, and recovery systems. We apply science and technology to deliver innovative, safe, and environmentally-friendly solutions that are cost-effective and produce outstanding results. Let's Talk! Give Us A Call Today! We love working with the brightest minds in the water industry; together, we can solve your toughest water problems. Our Innova consultants have the knowledge and chemistry to increase water performance and slash maintenance costs. We offer specially blended chemistry and polymers that are proven to outperform your current processes. We’ll evaluate your problem and apply a custom blend of chemistry to meet your specific needs. You’ll see fast, measurable results at a significantly lower cost. Innova offers a full array of high-performance water chemistry solutions. We’ve got custom blends that attack and kill algae, bacteria, and zebra and quagga mussels—and they’re safe for drinking water and for humans, animals, and fish. These highly soluble, low-pH algaecide/bactericides are designed for use in lakes, ponds, reservoirs, sedimentation basins, irrigation canals, treatment lagoons and other water systems. 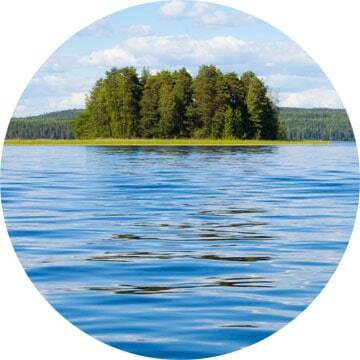 Our custom-blended chemicals are registered by the U.S. EPA as an algaecide/bactericide and are certified to NSF Standard 60 as an addition to drinking water.